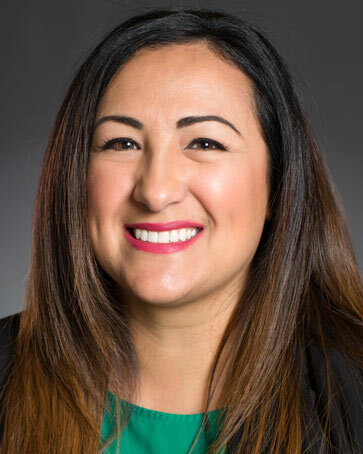 Magdalena Fonseca, ’98, ’11, who has worked with the Office of Minority Affairs & Diversity in a variety of capacities for 18 years, was named director of the Samuel E. Kelly Ethnic Cultural Center (ECC) in June. Most recently, Fonseca had served as the Kelly ECC’s interim director since last September. Prior to that, she held roles as the center’s associate director from 2012-2017 and assistant director from 2003-2014. Fonseca was named a recipient of the UW Distinguished Staff Award in 2016, largely due to her efforts to make the experience of undocumented students visible on campus. She helped established the Kelly ECC’s Leadership Without Borders which opened in 2015 and offers a space for connecting undocumented students to campus and community resources, as well as leadership development resources and peer advising. Fonseca also leads quarterly Undocu Ally training sessions that offer resources and best practices to help faculty and staff become better allies for undocumented students. The trainings have reached more than 500 campus employees since 2014. Fonseca has served as advisor for the Beyond HB 1079 Conference initiated by one of her students in 2012. It continues to be a student-led conference that supports undocumented students, educators and parents through awareness, resources and empowerment. Fonseca previously served as co-chair of the UW Latino/a Faculty Staff Association and has volunteered at a transitional home center where undocumented unattended youth stayed until they could be united with family through a partnership with YouthCare. Fonseca started her career with OMA&D in 1999, when she served as a program coordinator for three years. She holds two degrees from the UW, a bachelor’s degree in sociology and a master’s degree in higher education with a student affairs specialization.